Shop for women's apparel and accessories at reduced prices at the Coast Warehouse Sale. Items available are maxi dresses for £40, short dresses for £30, skirts, trousers, and jumpsuits for £25, jackets for £40, tops for £20, accessories for £15, and jewellery for £10 only. 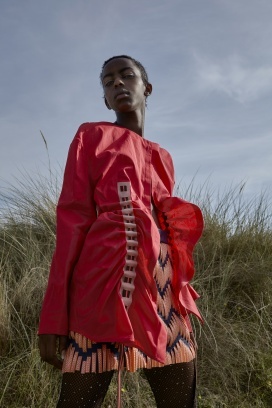 Shop for men and women's apparel and accessories at discounted prices at the Issey Miyake Sample Sale. 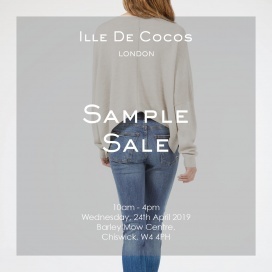 High end fashion distributors Self Service are having a five day sample sale near Edgware Road, where you'll find clothing from Cotton Citizen, Elvine, Frankies Bikinis, Sundry Clothing and WILDFOX, and sunglasses from Thomas James, WILDFOX and PERVERSE! Take up to 70% discount on men and women's boots, flats, trainers, and sock trainers at the Ash Footwear Showroom Sample Sale. Brands included are KANNA, Elia B, and Crime London. Shop for women's apparel at reduced prices at the Crumpet Cashmere Sample Sale. Cash, cards, and cheque are accepted. 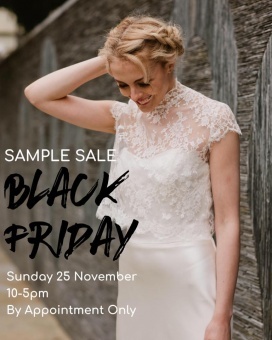 Shop for bridal gowns at reduced prices at the Emma Victoria Payne Sample Sale. Call 020 7584 8322 to book an appointment. Take up to 85% discount on women's apparel and accessories at Karen Millen Warehouse Sale. 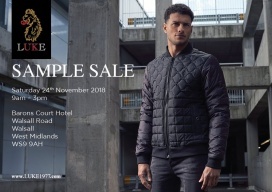 Taking place at Pithay Studios in Central Bristol, the Parlez sample sale will offer customers the chance to buy items from previous collections as well as a number of un-released pieces. 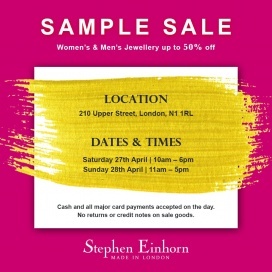 Doors to the cash-only sample sale will open at 11.00am on both Saturday and Sunday, with different items released across the weekend. 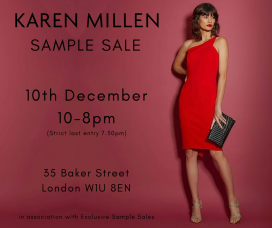 The Karen Millen Sample Sale will feature womenswear and accessories at various discounts. 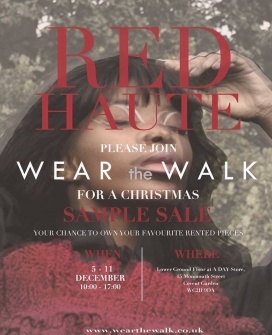 Christmas Designer Sample Sale !! 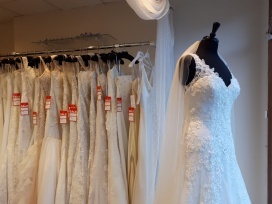 Massive further reductions on dozens of high quality ex-sample wedding dresses. By appointment only. Brands: Justin ALexander. San Patrick. Novia D'Art. White Rose. Shamali. Eglantine. Chloe Jai. Allure. Starts 16 to 30 November with all shoes 70% off RRP. All luxury designer clothes and accessories up to 70% off. International shipping available on all items. Shop for men and women's apparel, accessories, bags, and footwear at discounted prices at The One and Only Designer Sale. 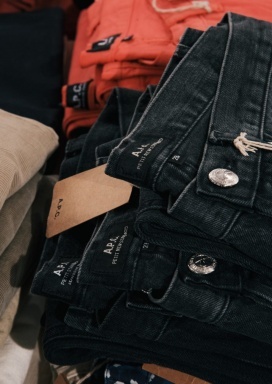 Shop for women's apparel and accessories at reduced prices at the Wear The Walk Sample Sale.